Stop Making These Mistakes and Start Making Better Pasta! There are a lot of myths about cooking pasta, and many of them have been around so long that people don't even think to question them. However, some of these beliefs could be seriously hindering your pasta game, which is a shame, because pasta done right is truly an amazing culinary experience! 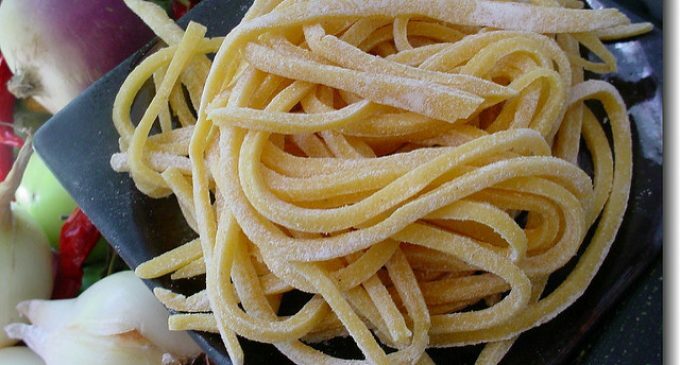 We've made many of this mistakes ourselves, simply because that's how we saw adults making pasta when we were young, and we just naturally imitated what they did when we started making it ourselves. The good news is that all of these mistakes are easy to correct, and doing so will really take your pasta cooking skills up a few notches. In fact, we're going to tell you exactly what you should be doing in place of these very common myths. While pasta is pretty simple and straightforward to make, there are a few key things you need to do to get it just right. Plus, there are some extras that really enhance both the flavor and the texture of the noodles. To learn some of the most common myths about cooking pasta, and what you should be doing instead, please continue to Page (2) for the full list.